Southwest's spring and summer sale is trying to lure fliers with fares that range in price from $49 to $99. Southwest Airlines has fired the first shot in summer airfare wars, announcing its sale earlier than ever before. The fares range in price from $49 to $99 each way and will require a 14-day advance purchase instead of the customary 21 days. They are Southwest's latest marketing tool to drive revenue. "Our bookings are strong," Southwest spokesman Brad Hawkins said. "Where we are seeing a little softness is in the business customer and the full-fare customer." And travelers said they are receptive to the deals. "I checked right away to see if I could take advantage of the $49 deal, because I only fly Southwest," said frequent flier Stephanie Carenza, whose family lives in St. Louis. The fares are good news for consumers in other way, too. Airline insiders say they believe the move is forcing other airlines to make tough decisions on summer fares now instead of next month. 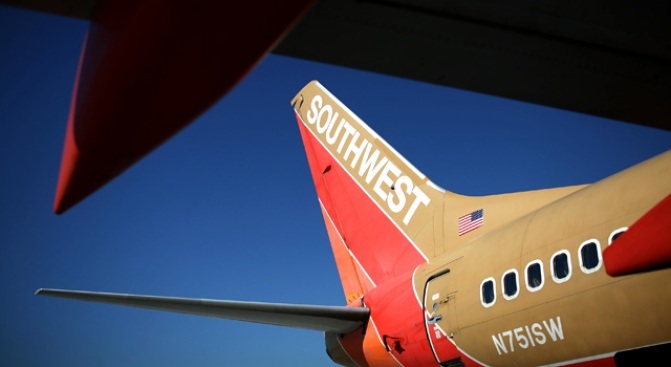 Southwest traveler Brian Economaki agreed the sale puts more pressure on other carriers. "They have to respond in the marketplace," he said. "They have to find a way to compete with that." Hawkins said the carrier, like most airlines, faces challenges because of the struggling economy. "Clearly, these are unprecedented times for all the airlines," he said. Travel agents say other airlines will be forced to start dropping their summer fares as early as Friday morning.